I was super excited to get a new sketchbook yesterday after filling out my old notepad. I wanted my first entry to be colorful and clean and decided to log the first thing that inspired me from my balcony. 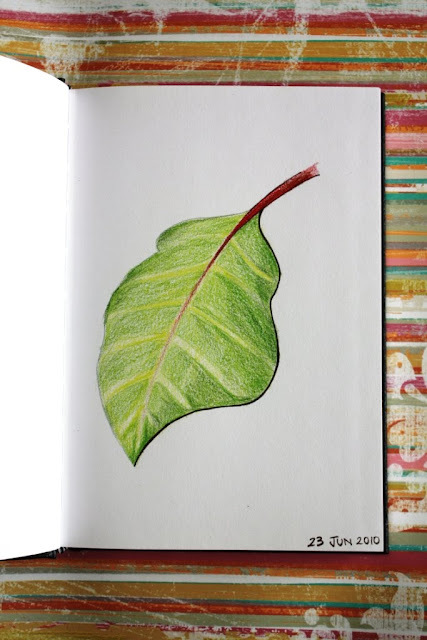 This is my interpretation of a Poinsettia leaf in the summer.